Yahoo Mail is a free, web-based email app. Yahoo was one of the best email services around a decade ago. A paid premium option, Mail Plus, is also available. Yahoo makes it easy to enjoy what matters most in your world. Yahoo is also an internet Search Engine. 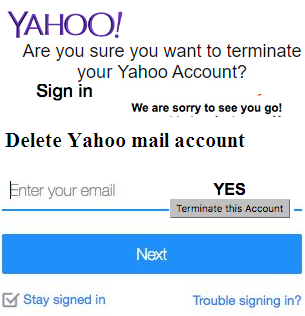 If you want to delete your Yahoo account permanently then you can follow the below guide. Read the info on terminating your account. Confirm your identity and click Yes, terminate this account. *Your account will be reactivated if you sign in to it within 40 days of closing it. Click Remove to delete your yahoo account. Yahoo! ID, e-Mail address & profile names will be eliminated. it terminates all the paid services which you have with this Yahoo ID. 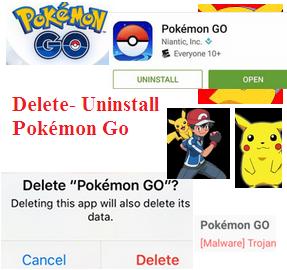 Make sure to verify that you no longer have active premium services before deleting your Account.